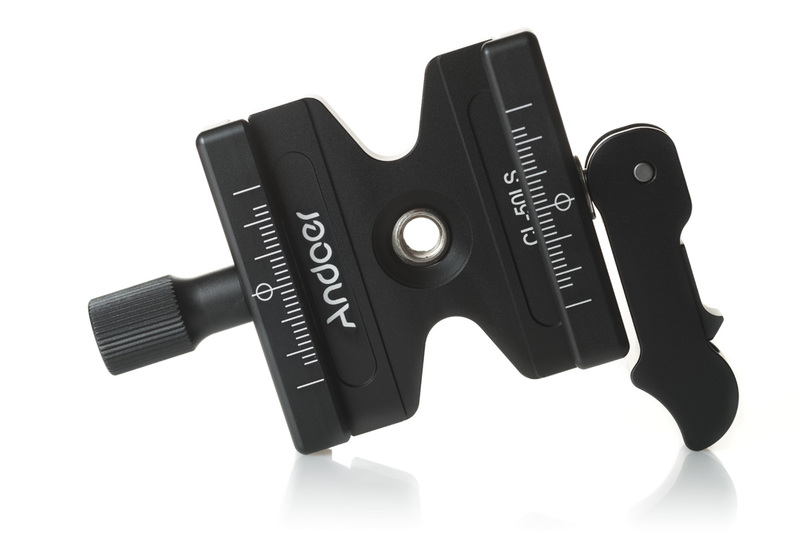 This is an initial review of the Andoer CL-50LS quick release clamp. At the moment I haven't actually used the clamp a great deal, and so I will update this review at a later date if I find any problems (or just to confirm that it is still working well X months later). I will be reviewing this clamp from a point of view of how the clamp is useful (and better than other clamps) to me. Of course your needs for a clamp may be quite different to mine. The main two uses (I bought two) of this clamp for me are as a quick release plate on my pano head, and as a quick release plate on my gimbal. It should also be noted that I normally use my camera(s) with an L plate bracket. Traditional arca-swiss compatible QR clamps have a large knob that is used for tightening / opening the clamp. So long as the surface you are mounting the clamp on has clearance for the large knob, this is not a problem. Standard arca-swiss compatible type QR clamp mounted on pano head arm. Above you can see a traditional style QR clamp mounted on my pano head. The problem is that with the clamp mounted like this, it is in the wrong orientation to mount a camera with an L-plate attached. 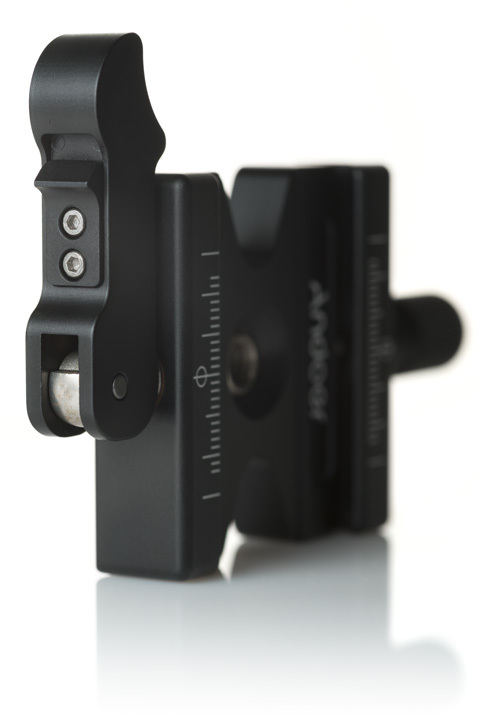 The camera would need a QR plate mounted that allows back-forth movement in the untightened clamp, rather than the left-right movement you get with an L-plate. 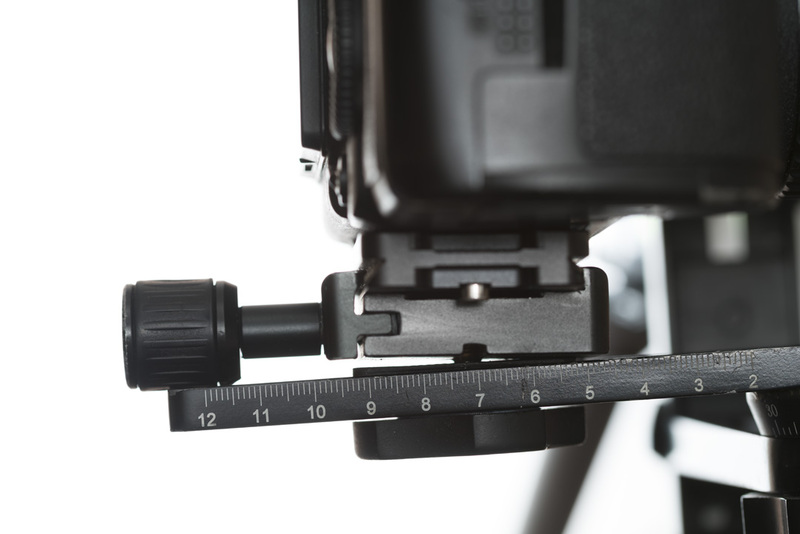 If we rotate the clamp 90° to allow mounting a camera with an L-plate, then the clamp's knob conflicts with the pano head arm, meaning we can't mount the camera correctly or easily tighten the clamp. Mounting problem with standard arca-swiss compatible type QR clamp mounted on pano head arm with camera with L-plate attached in correct orientation. Whereas with a lever release QR clamp, there is no large knob for tightening / releasing the clamp. And so the clamp can be attached and camera with L-plate mounted with no problems. No mounting problem with lever release QR clamp mounted on pano head arm with camera with L-plate attached in correct orientation. The Andoer CL-50LS does have a knob for tightening / opening the clamp. However, this is only for initial adjustment of the clamp opening size, and so the knob does not need to be as large as one designed for securely opening / closing the clamp like on a tranditional QR clamp. For the initial setup, you open the release lever for the clamp, then adjust the knob until the clamp is open just far enough to allow inserting your camera with QR plate attached. I set mine up so it opens up wide enough that I can insert the camera / plate by pushing it down into the clamp (rather than sliding the plate in from the side). Once this is done you should never need to adjust this knob again, unless you are using different cameras with different width QR plates you want to mount in the clamp. For attaching the camera into the clamp, the release lever has a small switch on it that must be pushed to allow the lever to be flipped. This ensures you're not likely to accidentally release the clamp by catching something on the release lever. After opening the clamp, insert the plate, then just flip the lever back and the plate will be clamped in place. 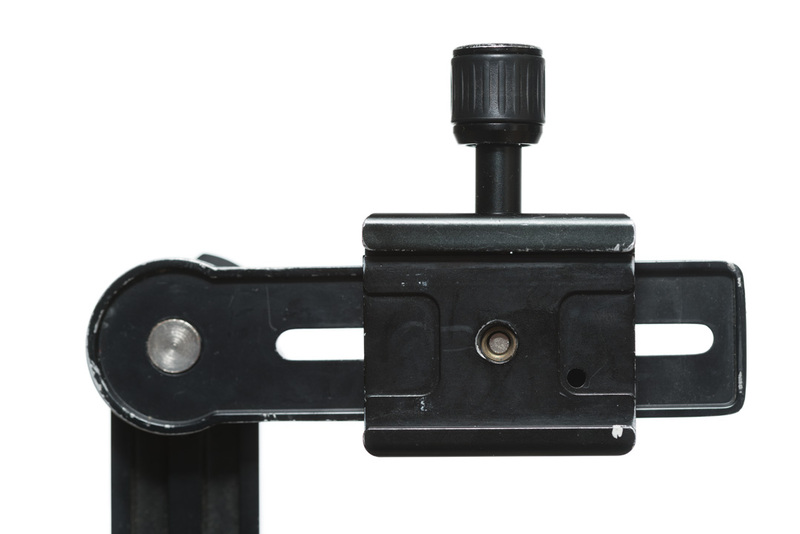 The front of the clamp features measurement markings that can help in aligning your camera, assuming the plate you're clamping also has at least one marking you can use for alignment. 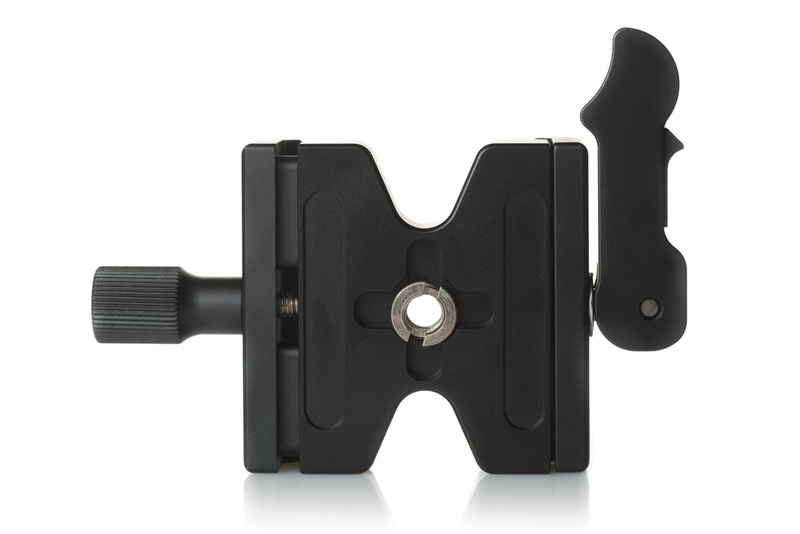 As I said earlier, I bought two of these clamps - one for my pano head, and one for my gimbal. In both cases being able to easily re-align the camera to its optimal position when re-mounting it is almost essential. 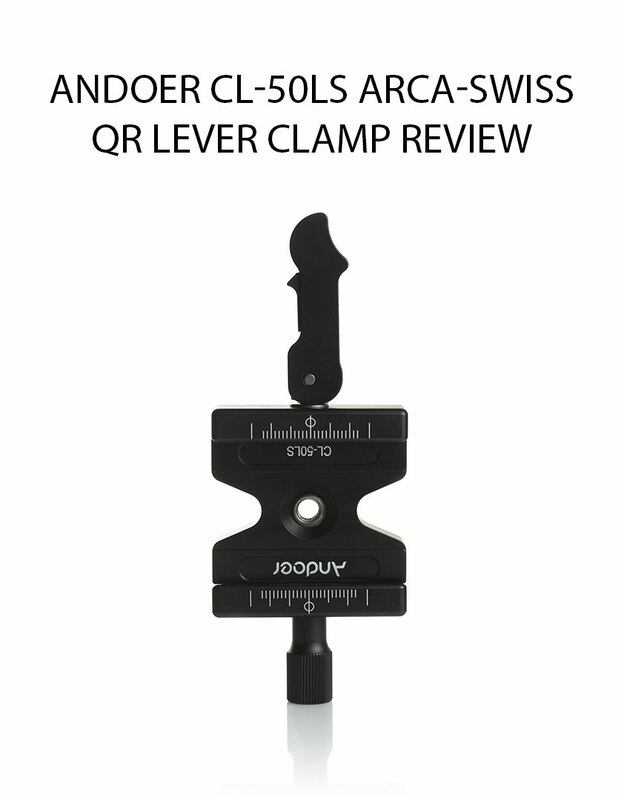 The Andoer CL-50LS QR clamp has a 3/8" thread, but comes with a 1/4" thread adapter pre-installed. As both devices I installed the clamps on use 1/4" threads (designed for attaching the camera directly), having the adapters supplied with the clamp is very useful. I suspect these clamps would nearly always be used on devices with a 1/4" thread, but I guess it is nice to have the flexibility of using them on devices with 3/8" threads if neccessary. 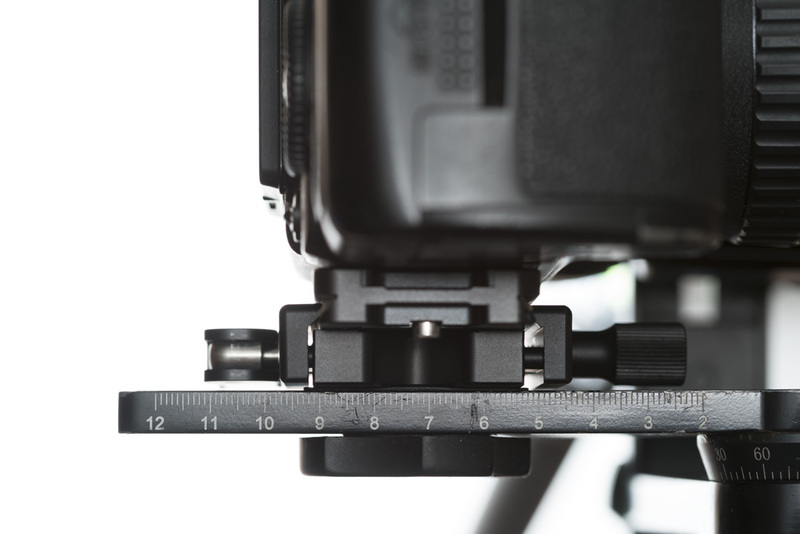 So, this clamp suits my needs very well, and hopefully from this brief review you can get a better idea of whether it would suit your needs as well. However, I do need to re-iterate that this is an initial review, and so my opinion on this clamp may change depending on how well they hold up over time. I'll try and update this article in about 6 months time (or earlier if I find any problems).